I make pots, talk about pots, teach others about pots and share my love of the pottery community....welcome to my little world. Come and experience the joy of working with mud, alongside me in my beautiful garden studio in Somerset. Can we talk about mugs? By befriending me you’ll also be put on my mailing list and be the first to know about my shop updates and other pottery related goodies. Thank you so much for 'befriending' me. Here's the link to download my 'Top Tips for Glazing Pottery'. Enjoy! 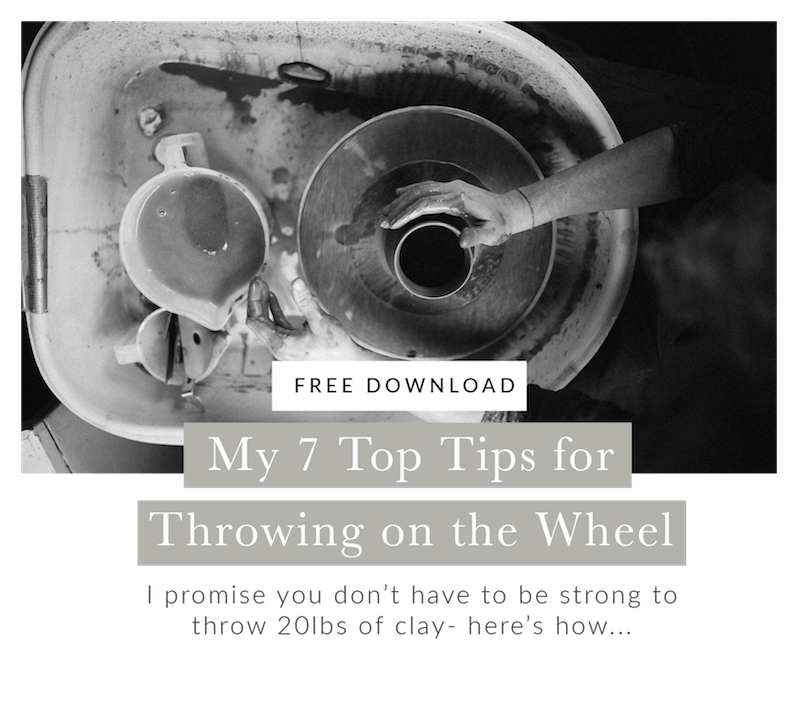 Here's the link to download my 'Top Tips for Throwing on the Wheel'. Enjoy!